Posted byWholeDude	 July 24, 2015 July 24, 2015 2 Comments on WHAT IS FOOD? WHAT IS FOOD? 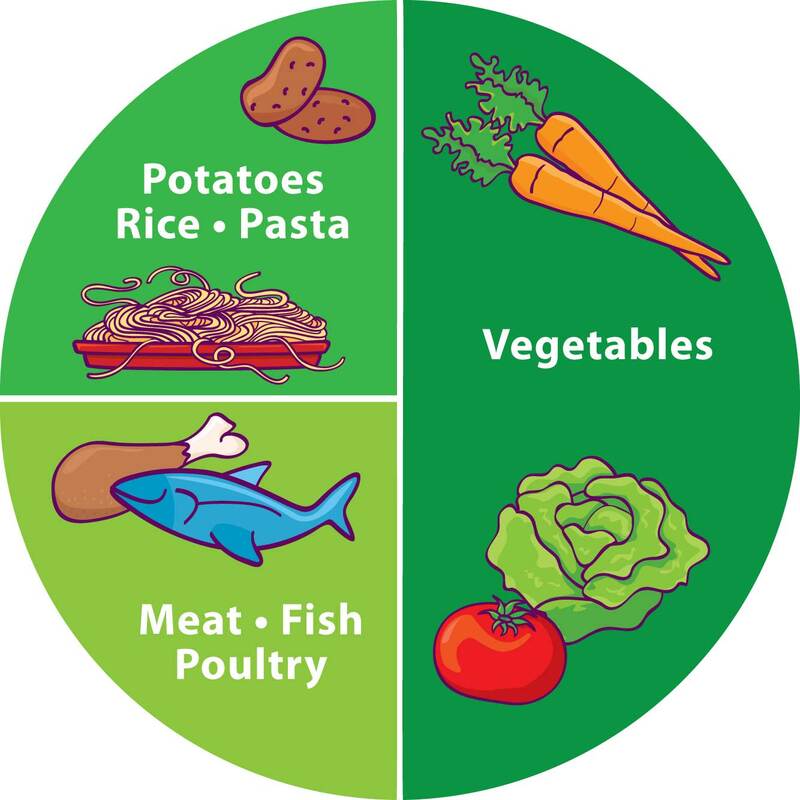 Human Foods are divided into Classes and the basic nutritional goal is to have a Balanced Diet with items from all of the major Food Groups. The Balanced Diet may or may not provide the experience called ‘SATIATION’. Man is constituted as a Physical being that is made up of about 100 trillion individual living cells that are structurally and functionally differentiated as the tissues and organ systems of the human body. Each living, individual cell is thermodynamically unstable. It means that the living system that is represented by the cell will dissolve into its non-living molecules and elements if not supplied energy from an external source. Food provides those energy-yielding molecules to energy-demanding molecules that constitute the Physical being. Food is used as a general term to describe substances consumed by man for nourishment. Food is defined as any substance which a living organism can convert into its own living substance from which it grows and develops new tissue, manipulates energy, etc., using a process called ‘metabolism’. The term ‘nutrient’ is explained as a substance that serves as food, or provides nourishment. 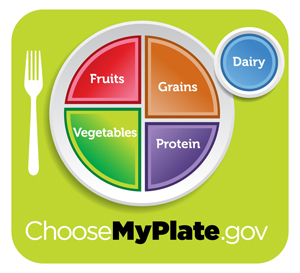 The term ‘nutrition’ refers to the process of feeding or being nourished. As mentioned earlier, all the tissues and organs of which the human body is composed, consists of building blocks called cells. Every cell contains a spherical body called nucleus and a ground material, living substance, or living matter called ‘protoplasm’. The most striking characteristic of protoplasm is its vital property called ‘Nutrition’. In Human Physiology, the term ‘Nutrition’ is used to describe the ‘power’ which protoplasm has of attracting to itself the materials that provide energy, and the substances for its growth and maintenance from surrounding matter or extracellular environment. Man must feed himself and yet he depends upon the ability of cells to recognize the specific nutrient substances and take action to absorb them and process them for further use. Nutritional Science describes three major functions of food; 1. food generates energy for growth, maintenance and activity, 2. food supplies agents like vitamins and others that are needed to make or to help enzymes which carry out a variety of cellular processes, and 3. food provides the building materials like proteins and amino acids that are used for building cells and tissues of the body. The essential human nutrients are proteins, carbohydrates, fats, minerals, and vitamins. Human body cannot synthesize some of these nutrients and they must be supplied. To make this easy for understanding, human foods are divided into classes and the basic nutritional goal is to have a ‘Balanced Diet’ with items from all of the major Food Groups to perform all the living functions such as the uptake and conversion of nutrients, making, breaking, and repairing of organic molecules, production of energy, and regulation and coordination of various metabolic sequences. WHAT IS FOOD? 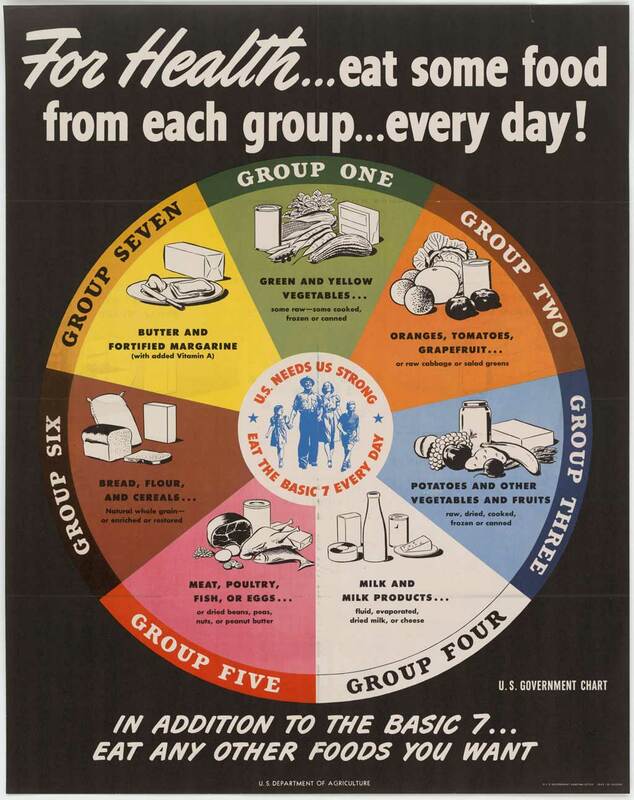 – This image called ‘MYPLATE’ depicts important Food Groups such as Vegetables,Fruits, Grains, Proteins and Dairy. Could we be able to say that these substances together be called as “WHOLE FOOD”??? The term ‘WHOLE’ is often used to describe something that is entire or complete to signify that it has all the elements or parts constituting the entire amount and it is not broken, damaged, or defective. The term ‘WHOLE’ also means auspicious, healthy, or uninjured and not diseased. We need to define human being as a ‘Whole Person’ to understand the complete entity that exists as man. There are five aspects of ‘Whole Person’:1. Man – the Physical being, 2. Man – the Mental being, 3. Man – the Social being, 4. Man – the Moral being, and 5. Man – the Spiritual being. These five components have to come together to establish the reality of man’s biological existence in the physical world. In the context of ‘Whole Food’, we need to find qualities that fit this description of being ‘Whole’ and its ability to perform all the functions that are attributed to Food. There is a huge growing concern about the substances that are added to food by food industry. The concern involves the use of synthetic or artificial colors, flavors, and preservatives. Food that may contain artificial colors, artificial flavors and chemical preservatives may not promote good health and are even suspected to cause injury or disease. Hence, the concept of ‘Whole Food’ demands exclusion of such artificial colors and flavors and all synthetic preservatives from the food products used by man for his nutrition. Even when chemicals are not added to food, there is a concern about chemicals like synthetic pesticides, fertilizers and hormones that are used by the food and agriculture industry. It calls for understanding the term called ‘Natural Food’. To be called ‘natural’, food must not be exposed or tainted by chemicals that are not ‘naturally’ present in the substances that are consumed as Food. This concern is often reflected in the demand for ‘Organic Food’ that calls for exclusion of synthetic pesticides, chemical fertilizers, and growth hormones in production of food. Apart from these considerations, the use of additives to change the taste, texture, and appearance of food have caused several health-related concerns. Some of them relate to the use of artificial sweeteners, and the use of partially hydrogenated oils. To qualify as ‘Whole Food’, it may require exclusion of artificial sweeteners and the so-called ‘transfats’ from food. This concern is also extended to genetically modified organisms or GMOs that have become common. The genetically modified trait may impart some benefit to the substance and yet it may not qualify to be described as ‘Whole Food’. Man is constituted to exist as a Mental being. Man relates to himself, his physical body with the help of his thoughts and moods. It seems that man often tries to discover his ‘essence’ or true identity not in his physical, living substance, but by knowing his ideas, thoughts, and imagination which describes his physical identity. These mental concepts that relate to identity are always associated with emotional feelings and moods that give meaning to the living condition or living state. Food provides substances to constitute the body and it also affects man’s thoughts and moods. The problems related to man’s feeding behavior will not be eliminated by supplying him what could be defined as ‘Balanced Diet’. The health problems associated with food consumption and caloric intake seem to persist even when man consumes ‘Balanced Diet’. It calls for further understanding of the functions of Food and we have to define the term ‘Whole Food’ by sharing the ‘Whole Story’ about Food and its role in human life. There are two important aspects of Food that are not taken into consideration by Nutritional Science. The Law may require that food products that are sold by retail food stores or grocery stores must provide adequate ‘Nutritional Information’. The products are labeled to provide information about the ingredients, allergens, and nutritional facts to help the consumer of food to make an informed choice about the food that is consumed. Such nutritional choices are helpful and yet there is a problem about the Food. There are two roles performed by Food and the concept of ‘Whole Food’ may have to give recognition to the role of Food apart from its function as the supply of nutrients. Food has to provide Satiation or experience of mental contentment or psychological satisfaction from its consumption. Man is constituted to exist as a Social being. Man’s growth and development demands social support. Man as a biological living entity could only be described as association of trillions of individual cells. At the same time, there are about 10 times 100 trillion microbes that inhabit the human gastrointestinal tract. Man is a natural host and there is a mutually beneficial relationship between man the host, and the microbes that reside in his body. During the entire course of his life, man shares his food and drink with the guests who have taken residence in his body. These guests perform function of an internal organ system and are important for man’s health and well-being. Man will always exist as a member of a Biotic or Biological community without any chance of true independence. This understanding is promoting consumption of foods that are popularly termed as ‘PROBIOTIC’. Man to support his health and well-being has to consume some living organisms on a regular basis to replenish the microbes that are lost due to excretion. Food plays a vital role in the development, and maintenance of social interactions, and social relationships.Food-directed activities of man often need social situations and social bonding. Food has the intrinsic ability to nurture a relationship between the provider of the food and the food consumer. At the same time, there is a direct emotional relationship between man and the Food he consumes. Man derives emotional satisfaction called ‘Satiation’ when he consumes Food. It contributes to satisfaction or a sense of mental contentment to shape his living experience. Man lives to experience satisfaction or mental contentment by gratifying his desires or cravings. Food craving is very important part of man’s life and biological existence. Balanced Diet may or may not provide the psychological contentment that man wants to derive by consuming Food. Such satisfaction demands social bonding between man and the food and between man and his provider of food. Hence, we have to develop our understanding of Food as a medium or as a substance that has the potency to develop and form relationships, association, connection, and bonding between man and his social community and environment in which man exists, and by consumption of ‘Whole Food’ man may find ‘Whole Satisfaction’ in his living experience. WHAT IS FOOD? ECOLOGY-WHOLE FOOD-WHOLE LIFE-WHOLE SPIRITUALITY:Food is the medium through which interrelatedness, interdependence, and the interconnectedness of living organisms is expressed. Man is constituted to exist as a Spiritual being. The term ‘SPIRITUAL’ refers to relationships that are based upon feelings of sympathy and understanding. Man has to define the spiritual basis of his relationship with the rest of the biological community and the physical environment that is common to all of them. 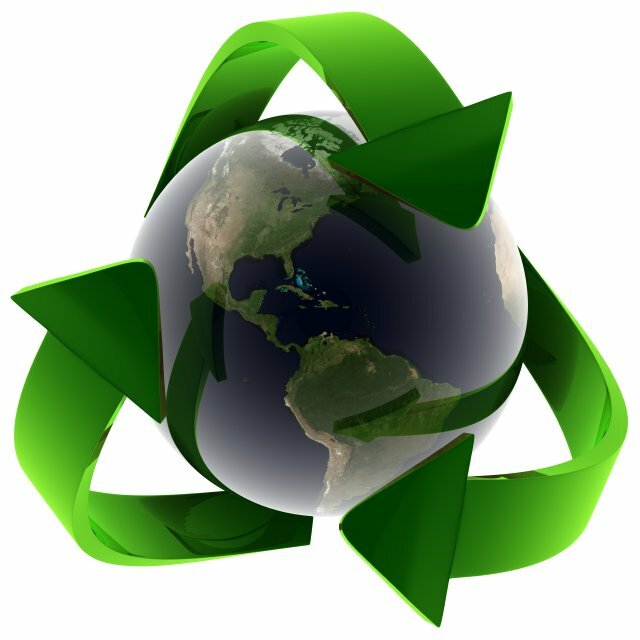 Ecology is the Science that is concerned with the relation between organisms and their environment. ‘Food Chain’ in Ecology describes sequence of transfers of matter and energy from organism to organism in the form of food. Food is the medium through which interrelatedness, interdependence, and the interconnectedness of organisms that are members of an Ecological System is expressed. A balanced growth of organisms that are connected in an Ecosystem demands the concept of ‘Sustainable Development’. Natural resources have to be used wisely to sustain the qualities of environment that supports living systems. Man needs food for his nourishment and to find this nourishment, man may have to stop environmental pollution and degradation that may upset the delicate Ecological Balance that operates in Nature. The manner in which man acquires energy-yielding molecules from his environment will define man’s definition of Food. Man is constituted to exist as a Moral Being. Man is intrinsically endowed with a nature that displays the ability called discernment. Man has ability to choose right conduct and right behavior as he has ability to discern right from wrong, and distinguish good from bad. This human nature called discernment is related to the nature of the living substance or living matter called protoplasm. I have described its vital property called the Power of Nutrition. It uses this power with a sense of discernment. Protoplasm while attracting substances found in its external environment, it uses a very selective uptake process. Some substances are accepted and tolerated and some are rejected. It expresses intolerance to presence of certain substances and its response may cause a severe and sometimes life-threatening allergic reaction. Man has no ability to consume all substances as Food. Man has to know about good and bad food choices, and man has to know as to which food is right and as to which food is wrong. Human beings acting individually and collectively have developed ‘Food Culture’ and Food Traditions to express their moral and ethical principles in all of their food-directed activities and behavior. In recent times, these concerns have developed into ideas such as ‘FAIR-TRADE’, ‘WHOLE-TRADE’ and ‘ECO-TRADE’. There is a growing genuine moral and ethical concern to support the living conditions of people and communities involved in growing Food. There is a growing interest to consume Food that is called ‘LOCAL’; food that is grown or manufactured in the local communities. Man must consume Food for his living and he may have to do it in a morally and ethically responsible manner. These concerns have generated the demand for ethical and compassionate treatment of all animals used as Food for human consumption. Food and Agriculture Industry are developing standards for Compassionate Treatment of Animals. The concept of ‘Whole Food’ would include the moral and ethical principles that man would apply to define his food-related behavior. Food is defined as any substance which a living organism can convert into its own living substance or living matter called protoplasm, the physical basis of Life. This substance could be viewed as a spiritual substance as it has the potency to formulate functional harmony and mutually beneficial relationship among the cells, tissues, and organ systems that grow and develop using the energy and organic molecules synthesized by protoplasm. The concept of ‘Whole Food’ will naturally include the concept of Food as a Whole Spiritual Substance that must be treated with respect and devotion. Such an attitude of respect and devotion would help man to use Food as a Spiritual Medium to establish a Connection, a Relationship, an Association, a Partnership, and Bonding between the Food Consumer and the Divine Providence. 1. Whole Food provides the nutritional substances for the Physical well-being of man and supports his living functions. 2. Whole Food provides the satisfaction, the mental contentment that man needs to support his Mental well-being. 3. Whole Food provides the stimulus for social relationships and social bonding that man needs to support his Social well-being. 4. Whole Food provides the ability to man to express his moral and ethical principles to support his Moral well-being. 5. Whole Food provides the Spiritual basis for man’s relationship with Divine Providence to support the Spiritual well-being of man. Whole Food is the nutritional substance that supports man’s Physical, Mental, Social, Moral, and Spiritual well-being. These five components of well-being are important to have experience of Peace, Harmony, and Tranquility in human Life. There is no Joy in Life and there is no Happiness in Mind, and there will be no Love in Heart until man finds Peace, Harmony, and Tranquility in the Living Experience. I say that, Whole Food gives man the experience of Whole Life; a Life of Satisfaction, Contentment, Happiness, and Joy. Kindly share your thoughts and views about the concept of ‘Whole Food’.